Building Back to School Language Tools: A Free Resource about Teaching ELLs! This week’s Building Back to School Linky topic is Language Tools and I would like to share a new resource with you. I am so excited about this freebie! 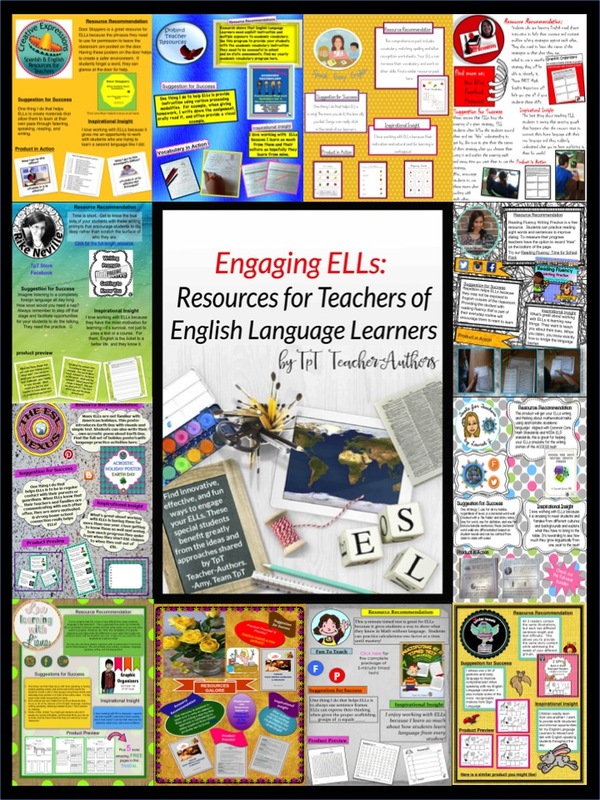 Engaging ELLs: Resources for Teaching English Language Learners is an e-book produced by a group of TpT teacher-authors who work with ELLs. 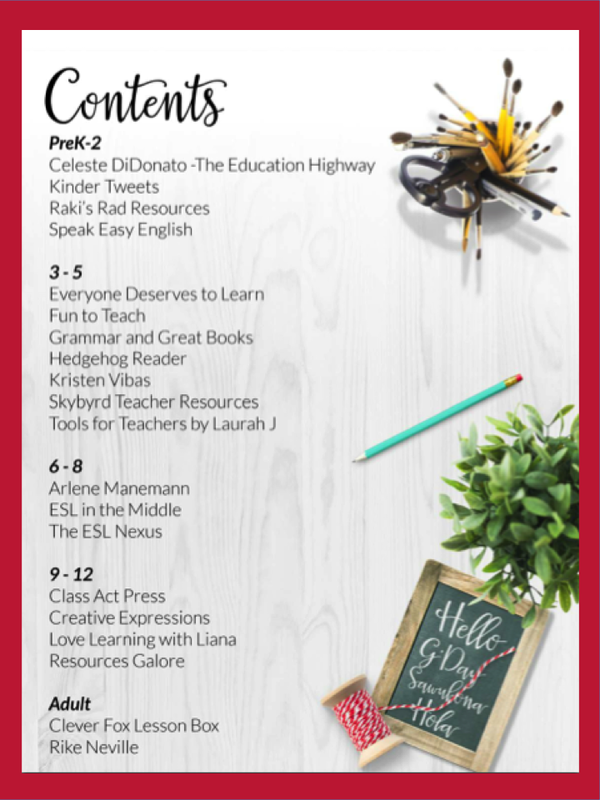 It is a sampler containing links to 20 free products and includes ideas for teaching ELLs plus links to additional paid products. I edited it and Laine from A Little Peace of Africa was the fantastic designer. Click HERE to download this sampler! This free resource is for all teachers, not just ESL teachers! Organized by grade span, it has resources for students in pre-school through adult education and for students at all levels of English language proficiency. The freebies are for math, science, social studies and language arts classes and develop students’ writing, vocabulary, critical thinking, reading, speaking, and listening skills. These resources will work well not just with ELLs but also with other students, too. And please check out the TpT stores of the wonderful teacher-authors, not all of whom are actual ESL teachers—many are mainstream teachers with ELLs in their classes. But lots of TpT stores that cater to English Language Learners also have products that regular education and special education students can use as well. Since ELLs are the fastest-growing demographic of public school students in the U.S., and also attend school in other countries, finding instructional materials that teach both content and language is essential. I hope you find this sampler of language tools useful!